Rarely offered, deep rose coloured flowers on 10cm stems in April. 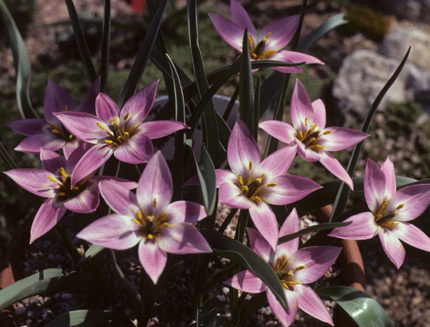 For its beauty and our own sentimental reasons Tulipa aucheriana is one of our favourite bulbs in the alpine garden. Given a warm sunny aspect, raised bed or large trough it will look an absolute picture in mid April.